Material: Steel, stainless steel, brass, aluminum, titanium etc. Double header, 2die-3blow and 4die-4blow headers. Automatic punch exchanger header that maximizes increased production efficiency. 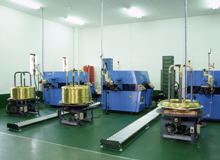 Various rolling machines assemble a wide variety of washers, from standard to multiple washers. 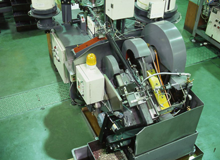 We also own 6 burr-free, high-speed slotter machines and 8 turning machines. 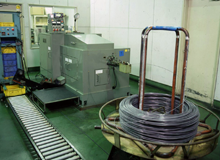 We own 9 high-speed German made wireforming machines to produce wide variety pins. 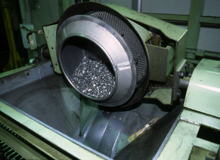 We supply the highest level finished products using various image processing, microcomputer, roller sorting machines. 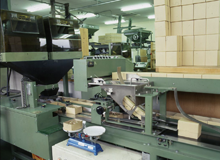 Our automated packaging system allows for customized packaging for each customer, packaging in small boxes, plastic bags and for export. 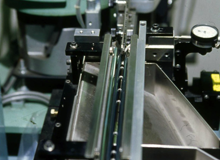 Automatic grease absorber units keep in-process materials clean and oil-free. 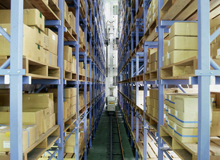 This is indispensable in promoting efficiency for additional processing and leads to high-quality, finished products.